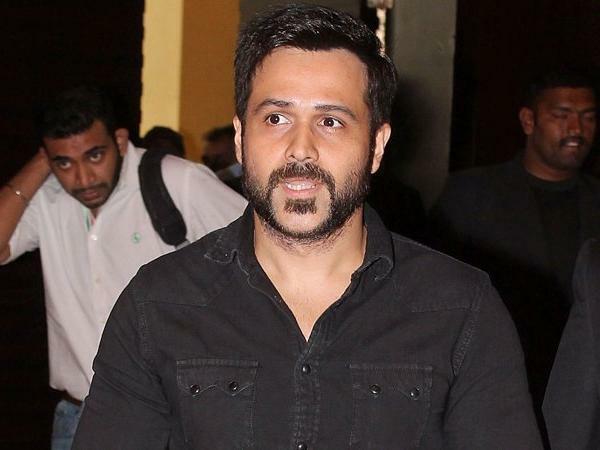 Actor Emraan Hashmi will be seen playing Suryakant Bhande Patil, a detective who has solved 120 child kidnapping cases for free in the upcoming movie 'Father's Day'. Titled 'Father's Day', this emotional drama will be based on a book 'Drishyam Adrishyam' by Gujarati author Praful Shah. The film will be directed by debutant Shantanu Baagchi, who has over 300 ad films to his credit. The screenplay and dialogue will be by Ritesh Shah, who has penned 'Airlift', 'Pink' and 'Raid'. The film will be jointly produced by Emraan, Priya Gupta and Kalpana Udyawar. "Excited to announce my film ‘Father's Day' based on the life of Suryakant Bhande Patil, India's top detective who has solved 120 child kidnapping cases for free. Directed by Shantanu Baagchi, written by Ritesh Shah. Produced by Emraan Hashmi Films and Mataram Films," he wrote. Noted trade analyst Taran Adarsh too shared the news writing, "Emraan Hashmi in #FathersDay... Based on the life of Suryakant Bhande Patil, a detective who has solved 120 child kidnapping cases for free... Ad man Shantanu Baagchi to direct... Written by Ritesh Shah... Produced by Emraan Hashmi, Priya Gupta and Kalpana Udyawar... Starts 2019." The 39-year-old actor is currently busy with 'Cheat India', based on education scams in India. Shreya Dhanwanthary, who has been a part of South industry and worked in films like 'Sneha Geetham', has been cast as the female lead opposite Emraan. The film is scheduled to release on January 25, 2019. Emraan has also joined the cast of 'The Bard of Blood', which is an adaptation of a book by Bilal Siddiqui by the same name. The series will be streamed on Netflix. 'The Bard Of Blood' is set against the backdrop of the Indian subcontinent, the multilingual series will tell the story of an expelled spy, Kabir Anand who is recalled from his new life as a Shakespeare professor in Panchgani to save his country and a long-lost love. A combination of combat skills, intellectual background and personal circumstances propel Kabir to avenge the past and face his deadliest enemies in a race against time.